I’ve had this on the back burner for a while, to make my own dungeon crawler game. Although I’ve mainly been distracted by Frostgrave these last few months, I have been making progress here and there. 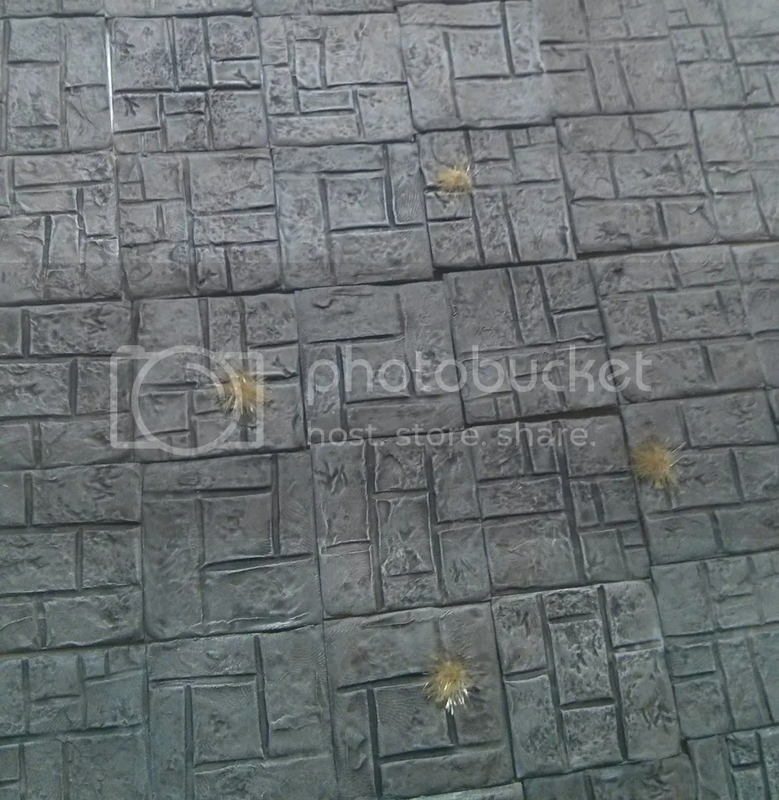 Today’s post is a continuation of of my “How to make Dungeon Tiles” series. For part one in this series. explaining how to make your master, please follow the link above. For the second post explaining how to make the mold, please click here! So, up to now you’ve gotten as far as having your mold. Then you’ve been patiently waiting for me to pull my finger out (I know I’m sorry! )… well, it’s out and we’re on! Hopefully you’ve got those laser cut MDF tiles that I spoke about in the first post, because we’re going to be using them here. This is part two of my tutorial on how I made my dungeon tiles. For part one, please click here. We’ve gotten as far as producing one, but hopefully two or three unique masters. By that I mean we’ve got three tiles sculpted in greenstuff. You’ve let them set and they’re ready for casting! As you know, I’ve got an ongoing project on whereby I’m making my own dungeon crawler game. Aside from rules, I’m also manufacturing as much of my own physical materials as possible.